The aim from the Council is to release a roadmap by Q1 2019, will keep everyone updated! What is a roadmap specifically? Is it schedule only? The council is working on it and will ensure that it will be a roadmap that will bring sufficient clarity. Is it gonna be on time? Im a newbie here, and i see a lot of topics about catapult, can anyone explain me what it is? It is our up and coming blockchain technology update. Well there has been a lot of progress made in the last few months more than every based on observation. The rest of the promised roadmap release deadline is less than 40 days. Thanks @GodTanu, our promise is that there will be an update with a lot of clarity by the end of Q1 (31 March 2019). We value your believe in us. "Where is the roadmap? When will “CATAPULT” be ready?" When will Catapult be ready? There is no “clear” answer to that question right now because work is ongoing, but let me try to make things a little clearer than what they are now. In addition, it has NEM’s revolutionary new architecture of the P2P server and the API server which fixes problems like Ethereum’s Infura problem which has led to their centralization of dapps reliance on ConsenSys. As far as I know, even if Ethereum gets POS (which NEM has a version - called Proof of Importance [POI]) and gets sharding (we already have private chains to offload transaction volumes), it will still have the Infura centralization problem. This adds support for even more features above and beyond those mentioned above. Most of these changes are “adding” onto the work already done and not rewriting. The core of Catapult is getting quite stable. What is labelled as “Dragon” are tasks the devs are currently working on. What is labelled as “Elephant” are things that will be worked on. NEM Foundation is absolutely committed to working with all contributors to the NEM ecosystem and the Project Management Committee (PMC) to ensure that we are ready. 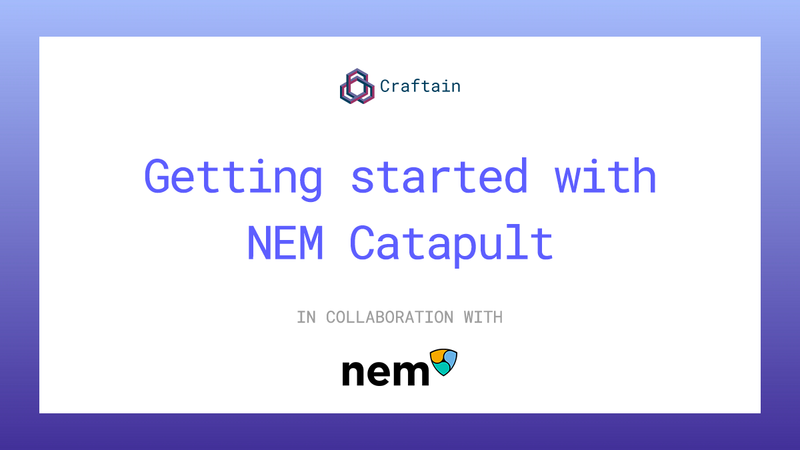 On top of that, we are also developing structures in business development and revenue growth to ensure that there is a pipeline of projects working towards the adoption of Catapult. Thanks for the links! I also wanted to know more about this new technology. The remaining 32 days until the roadmap release deadline! It is OK even if you release it today! It’s like a NEM 2.0. The function is greatly enhanced. I also pay attention to this topic. It is important for NEM.